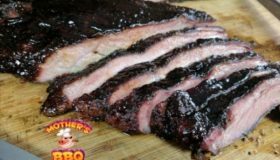 On this cook, we take some pork brisket bones and thrown a little Asain flavor to them. This cut of pork was a little different and something I have not seen before. Are they pork spare ribs? Pork trimmings?